What your toddler eats during their first 1000 days of life can have a big influence on their future growth and development, including brain development. During this time, it is essential that your toddler receives a variety of nutrients to ensure they grow up happy and healthy. One nutrient that is of particular importance during this time and for the rest of their life is calcium. It’s not a news flash that calcium is important for healthy bones and teeth. However, we still frequently hear myths popping up in the media disputing this science, so let’s revisit what the research has shown in regards to calcium just to put your mind at ease. Calcium is an essential nutrient that is necessary for the development of strong teeth and bones. The research has found that adequate intake of calcium can help reduce the risk of osteoporosis (weak bones) later in life. Calcium also plays a role in muscle movement and hormone release. Once children are aged over 1 year, their calcium requirements almost double because they are growing and developing at such a rapid pace. How much calcium do toddlers require? It is recommended toddlers consume 500mg of calcium per day – this is around 1 ½ serves of dairy. To put that into perspective, a glass of milk contains around 125mg of calcium, so including small amounts of calcium-rich foods throughout the day will ensure your child can meet this requirement. 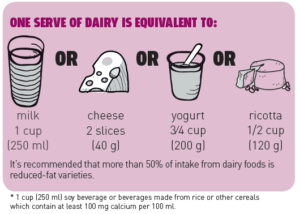 It may not come as a surprise that dairy foods are the best source of calcium in the diet. Once children reach the age of 2 years they are able to consume reduced fat dairy products, however, this is completely up to you. The reason they need full fat before 2 years of age is because they need the increased energy in full fat milk for growth. 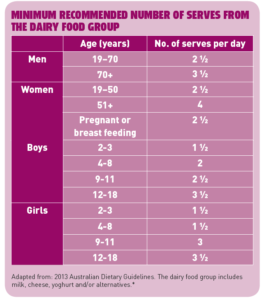 Reduced fat and full fat dairy are both healthy options for toddlers and will help them meet their calcium requirements. Calcium is also found in other foods, however, the bioavailability tends to be poorer in these foods (meaning the calcium is not absorbed as well into the bloodstream). What about allergies and intolerances? For lactose intolerant and sensitive toddlers, there are dairy alternative options available to ensure your child is still able to meet their calcium requirements. When choosing a dairy-free alternative, it is essential you look for one that has calcium added to it. Soy milk has the most nutritionally similar profile to cow’s milk and is recommended for children who cannot tolerate cow’s milk. If your toddler is a fussy eater it can be difficult to ensure they are receiving all of the important nutrients they need, including calcium. Children are unlikely to like or try new foods the first time they are offered it, however, continually offering small portions of a new food should eventually result in them trying and (hopefully) enjoying the food! It is also important that you role model healthy habits to help encourage your toddler to adopt these habits. Include grated cheese in pasta, veggies, mashed potatoes and meatball dishes- it makes the dishes creamier! We always encourage a food first approach to meeting nutrient requirements. However, if your child cannot eat or drink all of the calcium they need in a day, they may need to take calcium supplements. This can be in a liquid, a pill or a capsule, a chewable tablet, a gummy or a dissolving tablet. Talk to your doctor, dietitian and/or pharmacist before starting your child on any supplements. Vitamin D is extremely important for ensuring that the calcium consumed is properly absorbed in the body. Ensuring your child gets enough time in the sun is critical to help children meet their Vitamin D requirements. 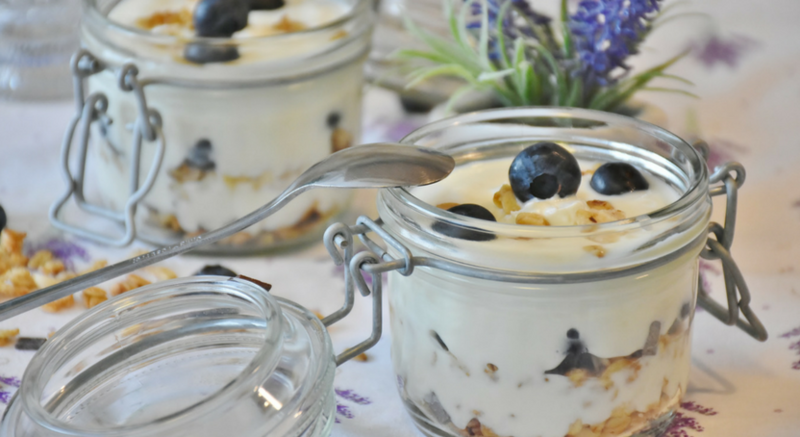 This blog post was written by Sarah Young who is a dietitian intern at The Biting Truth. Sarah is currently studying her Masters in Nutrition and Dietetics.